Dirty pages. 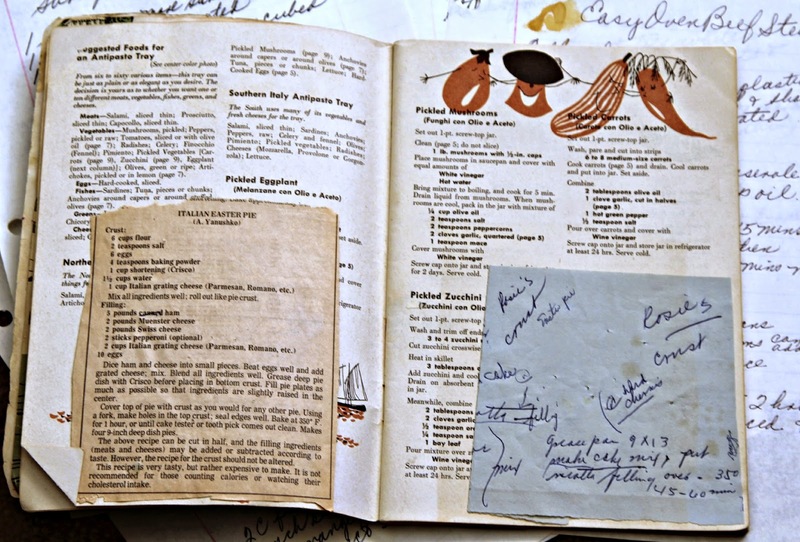 The cookbook pages ringed with coffee stains, the recipes smudged with chocolate or butter, dusted with flour, a creased piece of paper or the back of an old envelope, pages wrinkled and folded, the faded careful script of a mother or grandmother. They're the recipes we refer to again and again. But beyond the dishes they help create, these pages hold stories. This notion of dirty pages inspired an interactive exhibit featuring 20 Nashville women at the Nashville Farmers' Market in March-April 2015 and a series of public events at the market and in collaboration with Nashville's Conexión Américas. Part photography and part storytelling, Dirty Pages tells each woman's story by displaying her recipe along with a portrait, and a personal account describing the recipe and where it came from. The project aims to celebrate our shared food stories and give a glimpse of the abundant variety of Nashville’s food traditions and cultures. At the Nashville Farmers' Market, an opening night dinner featured the talents of eight local chefs, honoring women in their lives who inspired their cooking. Tickets for the dinner helped cover the exhibit's costs, with other proceeds from ticket sales and sponsorships directed to Conexión Américas and its Mesa Komal commercial kitchen. Dirty Pages has been organized by food writers Erin Murray, Jennifer Justus and Cindy Wall, a trio of friends who eat enthusiastically, write passionately, and believe fully in the ways shared stories about food tie us together. To say I have recipes in my house is an understatement! My Mom and I were big cookbook collectors, and my Mom loved getting recipes from family and friends. She worked in a children's boutique, and even got recipes from her customers. 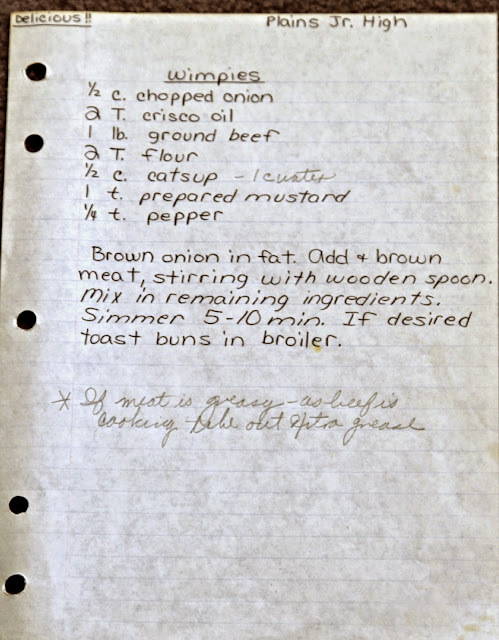 I had typed up a few like above, but it doesn't compare to having recipes in family's own handwriting. My Mom had organized all the recipes in 3 ring binders, and it took a long time to get that job done. 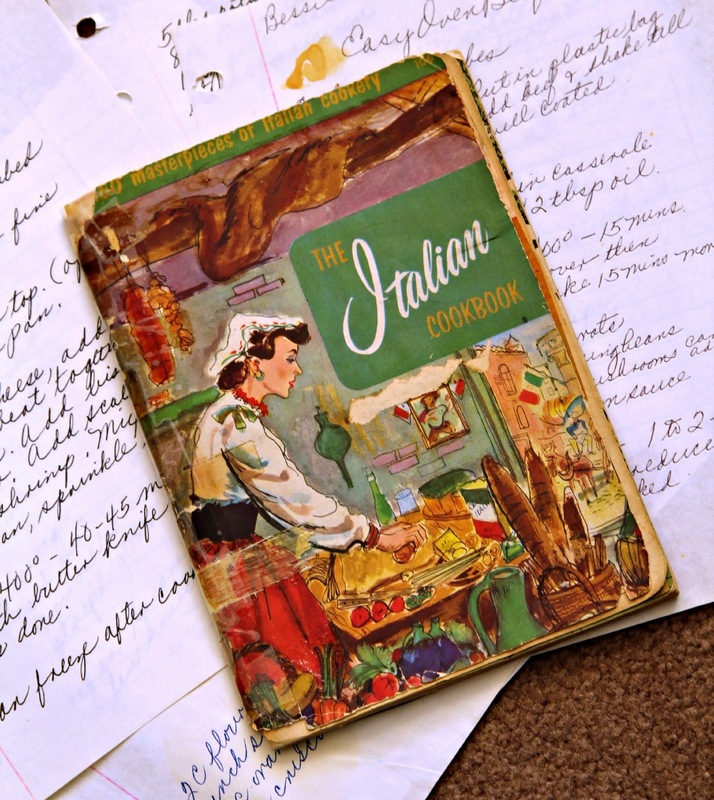 Being Italian, food was a big part of our lives, and holidays were always magic. 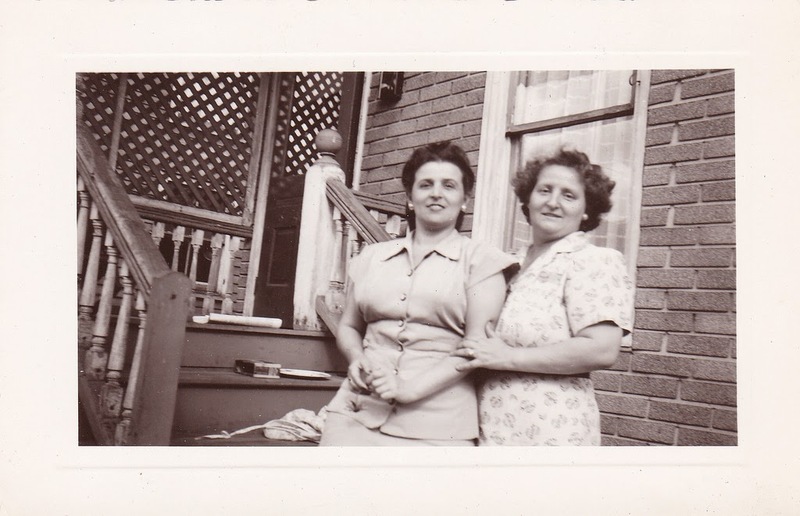 My Mom came from a large family, with 3 brothers & 3 sisters and I was told my Grandmother was an amazing cook. 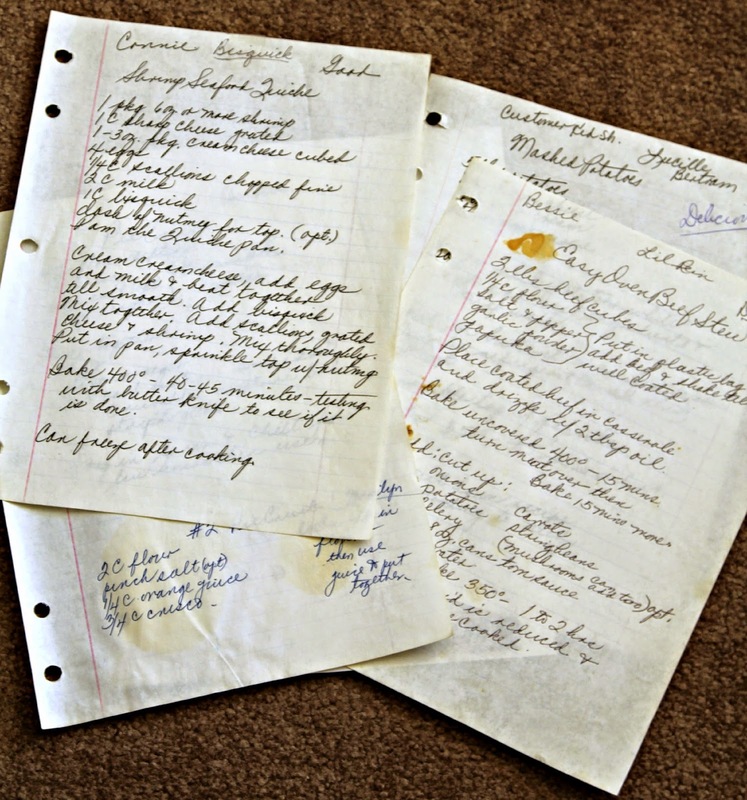 We even have recipes from my Dad's Mom as well, which is the Easter Pizza we would make every year. I shocked myself by making it this year all by myself, and it tasted just like Mom's. Guess it's in the blood! 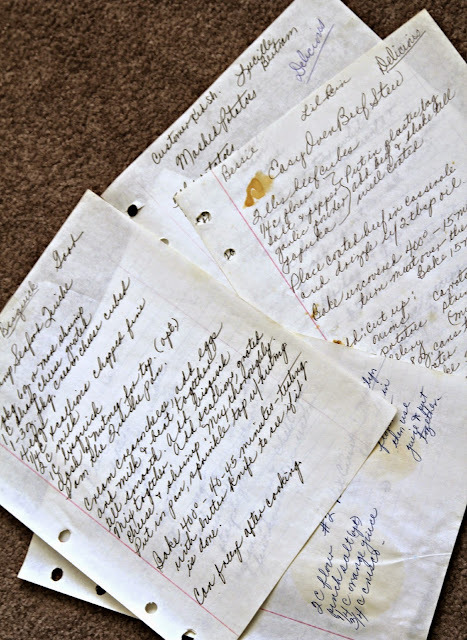 I am still getting over the loss of my Mom this year, but these recipes, in her handwriting, are so cherished by me. If I ever had a house fire, I would grab these, along with family photos and digital photos all in my arms. They mean more than any "thing" for sure. My Mom would always right on the recipe if she made the item, and if it was any good or not. I think the Delicious ones are probably the best. The dirty ones are here for a bit, my Mom was a pretty clean cook, but once in a while, you have some stains showing! 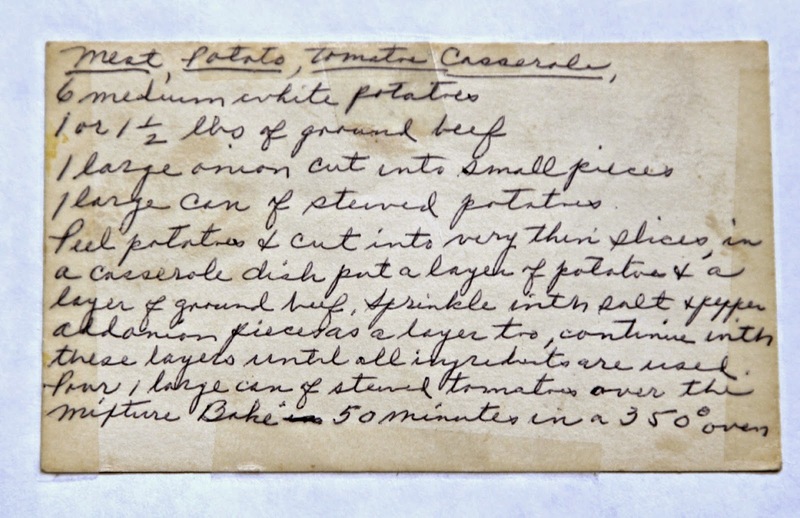 It just gives so much character to the recipe, don't you think? This gem is an old, vintage cookbook from my Auntie Ann. She was a great pie maker in her day, she was born in 1912, and I always teased her she had something to do with the Titanic sinking! She didn't like that too much, not to mention she was born in December and the ship sank in April! Auntie Ann was pretty hip in her day, she lived on her own, and moved to Trenton, New Jersey. She lived there a long while before coming back home to Pennsylvania to live in the family homestead. The inside of the book is just too funny! She has writing all over, and even added MORE recipes to it! I love the piece of paper saying "Rosie's Crust", that is my Mom! These items to me have no value to them because they are just so priceless. My Aunt Lenny, or Matilda as was her real name, wrote this recipe on an index card. She was a great cook as well, and would always make our fish for Christmas Eve while my Mom worked. Everyone had some lovely handwriting, it's a shame it is going away. I hear now in the schools they don't even teach cursive writing anymore. Very sad indeed as it is unique to each person. 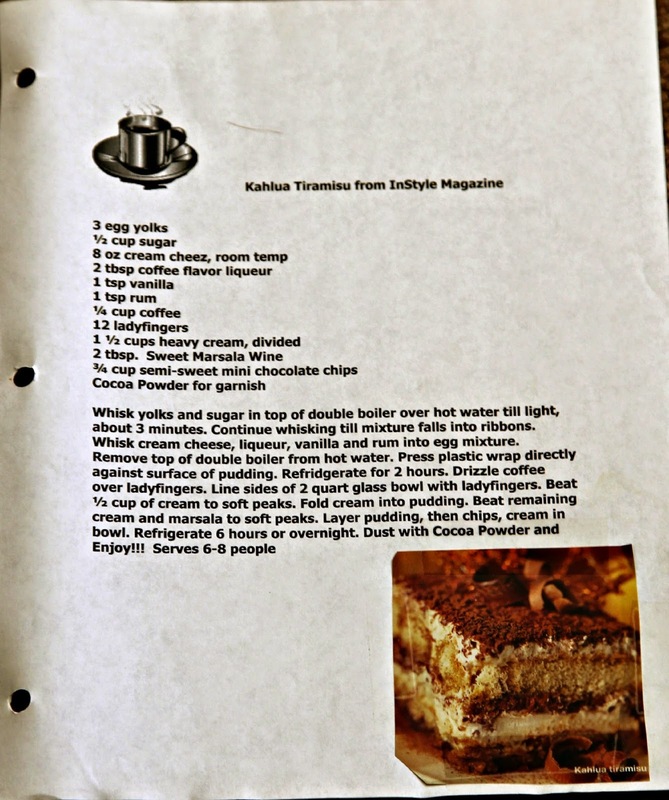 My written recipe from my home economics class, which my Mom had to put a few notes at the bottom. I really didn't cook much until my Mom got sick, because she was such a hard act to follow. I always loved to bake, but cooking was not something I did often. But we did find out, I can cook and pretty well at that. Mom was quite shocked and pleased at the same time! Here is one more photo from that vintage cookbook from Aunite Ann. 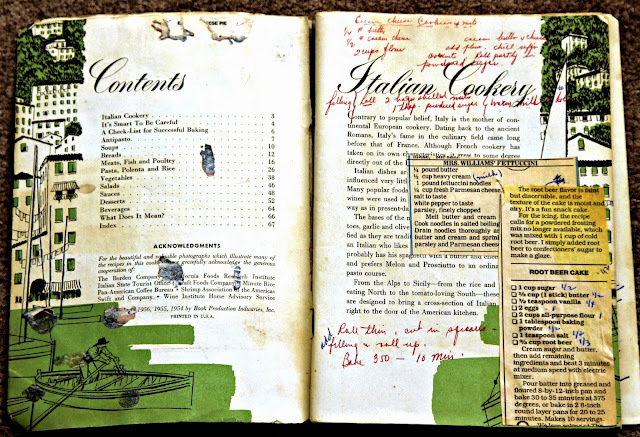 It is just too funny all the added recipes she has here, and notes galore! She loved French things, and married a French Canadian man, her last name changing to LeGough. I can't help wonder how she would have loved the French macarons I am obsessed with today! I even have her school yearbook, which says she was in the French club! I think I know where that obsession is coming from, Thanks Auntie Ann! For you to put a face with a name, my two wonderful Aunts, who I grew up with, and enjoyed so much of their love, Auntie Ann on the left, and Aunt Lenny on the right. I thank them for many of these recipes, and the wonderful memories they have given me. Do you have Dirty Pages in your home? Isn't it great to have these pieces of nostalgia to enjoy? I really just treasure mine so much, and I may be trying a few of these recipes to see how they come out! I think this whole idea from these ladies in Nashville is just marvelous!